Behold the Bella Outdoor Chaise Lounge from Hanamint, one of the most beautiful patio furniture options available on the market today. This cast aluminum masterpiece features a classic appearance, with flowery openwork in the backrest that intricately blends traditional acanthus leaf and palmette designs. 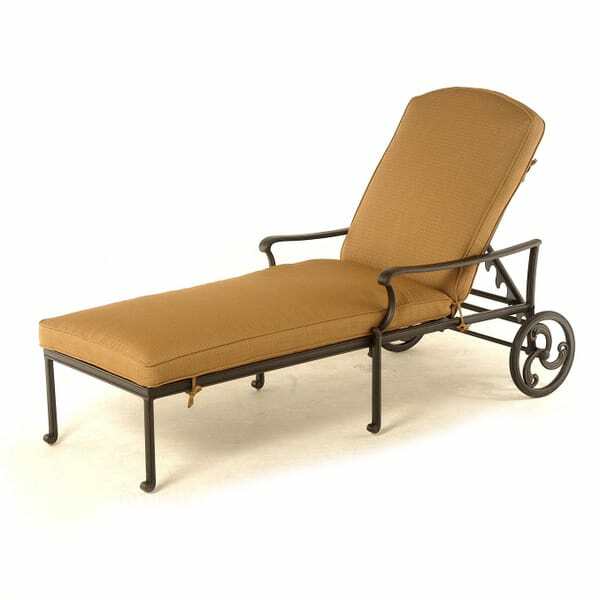 This chaise lounge is made from reliable cast aluminum which undergoes a vigorous five-step powder-coating process, allowing Hanamint to offer one of the best warranties in the industry (ten years). And since this piece of patio furniture is built to last, Hanamint strives to create a timeless form, perfect for the corner of a sun room, or lined up in a row next to the swimming pool.